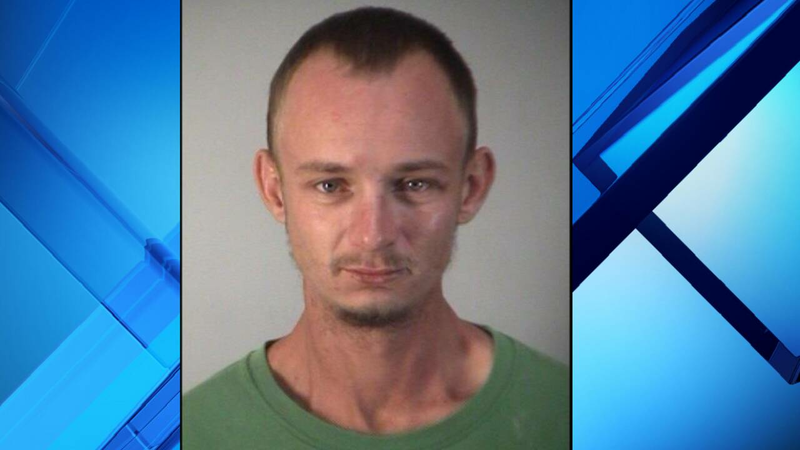 EUSTIS, Fla. - A man who called himself a "proud (expletive) cracker" is accused of slashing a neighbor's tire after he was drinking and playing with a chainless chainsaw on Halloween, according to the Eustis Police Department. Noah McDonald, 25, of Lady Lake was at his brother's home on Dellwood Drive Tuesday night playing with a chainless chainsaw in the yard "because it was Halloween" when a neighbor on the north side of the street told the men to stop, according to the report. The brother said McDonald was being "extremely racist" and used a large black knife to slash the tire on a red Cadillac SUV next door, knowing those neighbors are black, police said. McDonald had no contact with that neighbor before slashing the tire, according to the affidavit. Police said McDonald appeared to be drunk and had blood coming out of his nose when they approached him. McDonald told police he, "Went next door and slashed those (racial slur's) tires," the report said. Police said McDonald also made a comment about how, "He hated (racial slurs) and Mexicans because he is a proud (expletive) cracker," according to the affidavit. McDonald was arrested on a criminal mischief charge.